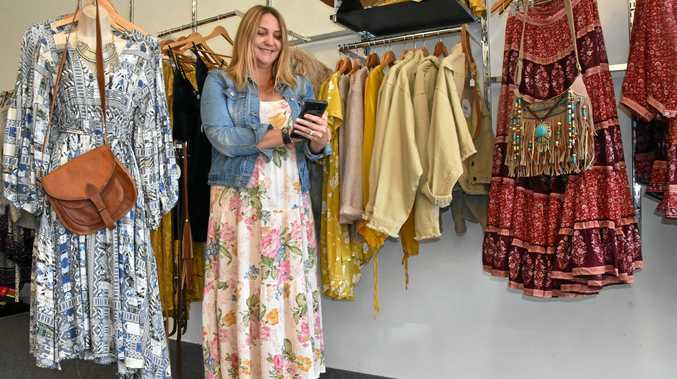 DESPITE no previous experience in retail, Karen Stoneley has made a success of her fashion business, T-Leaf Clothing, and she's done it partly by setting up an online shop. 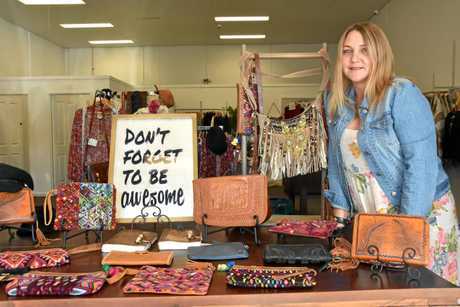 She still has a bricks and mortar shop on Sun Valley Rd, Kin Kora which displays Bohemian-style clothing and a T-Leaf branded collection of leather handbags. Karen has had the shop for about five years ago but from the get-go she found she was getting a lot of out-of-town orders. "It was all Facebook driven," she said. "We were talking to people over Facebook and they were giving us their credit card details or just transferring money to our account. We didn't have a website. "That just grew so big, we couldn't control the numbers so we got our first website built and that took off really well." Karen said learning the online arena was a trial and error process and it took many mistakes to get the business to where it is. Now she estimates about 40 per cent of her sales are online. "We've just done our 10,000th order about two weeks ago, we're pretty excited about that," she said. T-Leaf Clothing offers a different product, bought direct from designers, many of whom are based in Byron Bay. "When we first started, we definitely weren't trendy, a lot of people might have turned their noses up at our style. But the whole Bohemian look is becoming quite on trend now, which is a little bit disappointing," she laughed. The online side of the business, on the face of it, sounds easy but there's a lot of work, says Karen plus costs for freight (she offers free delivery for orders over $100) and for payment platforms like zipPay and Afterpay. "I've always had a very old-school approach to the online. I'll definitely get back to people as soon as I can," she said. If we don't answer them straight away, we lose them. "My day starts at about 4 in the afternoon, that's when a lot of people are active." Karen said she's worked around the problem buyers often have with online clothing purchases: that the clothes don't fit. "What we do is we try the clothes on ourselves when the clothes come in and then we size them appropriately," she said. "We don't get many returns." And for sizes different to Karen and her small team? They ask their loyal customers to try them on. Keep a look-out for T-Leaf Clothing on Goondoon St. The store is moving there in the coming months.